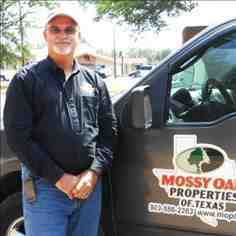 As a native Texan and avid bow hunter, Raymond spends a lot of his time in the woodlands of East Texas. After a short time in the U.S. Army, he started his career in manufacturing and with two partners and built a strong and sustainable contract manufacturing business. Then because of his love of the outdoors, Raymond started his second career in Real Estate where he could spend more time doing the things he was truly passionate about. He was taught early about responsible land stewardship and wildlife preservation and spends most of his time in this endeavor. Raymond and his wife Cindy currently live on Lake Jacksonville in the heart of the East Texas timber and hunting lands. With over four decades of professional sales experience and with his Real Estate and Real Estate inspection background he is ready to assist you in the purchase or sale of your next property.